Higher education is abuzz these days with conversations about Carol Dweck's work on mindsets and Angela Duckworth's research on grit. Some institutions are even developing programs and interventions for students that are rooted in these frameworks. I myself have learned a lot from these models and have used research from both Dweck and Duckworth in my work with faculty. But I get worried when I hear discussions about either of these concepts turn toward the dogmatic. Both are very important, but they are neither infallible nor the sole answer to questions about student success. 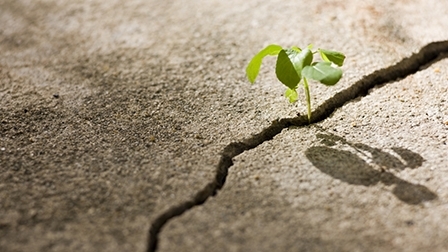 Instead, we might, as a collective, find it more useful to think about the idea of resiliency and the ways in which growth mindsets, grit, and other models can help students to become more resilient. Resiliency is so important because students need strategies for effectively overcoming obstacles they encounter on their academic journeys--road blocks like receiving lower grades than they expected, struggling with course material, questioning their choice of major, and many others. The reality of any educational system is that students will sometimes fail, but it is likewise true that many are not prepared to productively navigate these moments of failure. Growth mindsets and grit are pitched as antidotes to this dilemma. Dweck has argued that "students who believed their intelligence could be developed (a growth mindset) outperformed those who believed their intelligence was fixed (a fixed mindset)." Growth mindsets, then, allow students to see a challenge as an opportunity for intellectual development rather than as a dead-end. This effect in and of itself is worthwhile, and we should try to help students reach this lofty bar. Where things get a bit muddy, though, is when growth mindsets are tied to claims about academic achievement. A new meta-analysis, published in Psychological Science and covering 129 studies (p. 5), suggests that the correlation between the two was "very weak" (p. 13). This doesn't mean I want to throw growth mindsets out with the bath water, particularly because the researchers found that growth mindset interventions might have some benefit for underrepresented groups (p. 20). Overall, we just need to take the mindset research with a grain of salt. Similarly, grit--which Duckworth defines as "a combination of passion and perseverance for a singularly important goal"--is an important trait for students to cultivate, but it too has come under recent fire for the strength of claims regarding its predictive power. Here again, we don't want to discount Duckworth's work just because it may not precisely forecast the achievement levels of students. With both growth mindsets and grit, we should take those aspects that are most beneficial and use them together as pieces of the larger resiliency puzzle. This is especially true because these two are not the only models for enhancing resiliency that are out there. Anindya Kundu's work on agency, for example, has some overlap with the frameworks of Dweck and Duckworth, but it attends to socioeconomic forces in ways that the other two do not. Likewise, Jessica Lahey's brilliant book, The Gift of Failure, lays out some other strategies we might try. In short, our goal is promoting student resiliency. Let's use whatever tools are available for us to do so. There are a lot to choose from, and we need all the help we can get. Posted on April 5, 2018 by Josh Eyler.